If you’re missing a taillight or want to install some brighter headlights to give you a boost when it comes to night driving, you’re at the right place. Scroll down to view the entire Euro Car Parts range of spare bulb kits – easy to use and inexpensive, they let anyone replace their vehicular lighting. 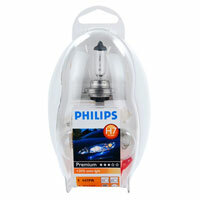 When it comes to car bulbs, if they need replacing, they should be replaced as soon as possible. 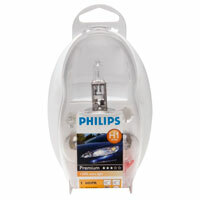 There’s no need to pay for a professional if you feel confident in replacing them though, which is where our fantastic range of spare bulb kits come in. 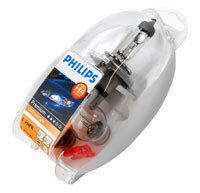 Produced by the best manufacturers in a variety of types, from H1 through to H7, these kits come with a number of bulbs in each one, including headlamp, rear and indicator bulbs, plus fuses. With them, you can be sure that your car isn’t breaking any laws, and isn’t putting either you, your passengers or other road users at risk. 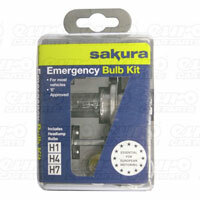 If you need a bulb kit fast, Euro Car Parts is the right place to order it from. We offer fast, free delivery on nearly all of our products, and you can choose to click and collect at any of our 200-plus UK locations too. Explore the range above today.